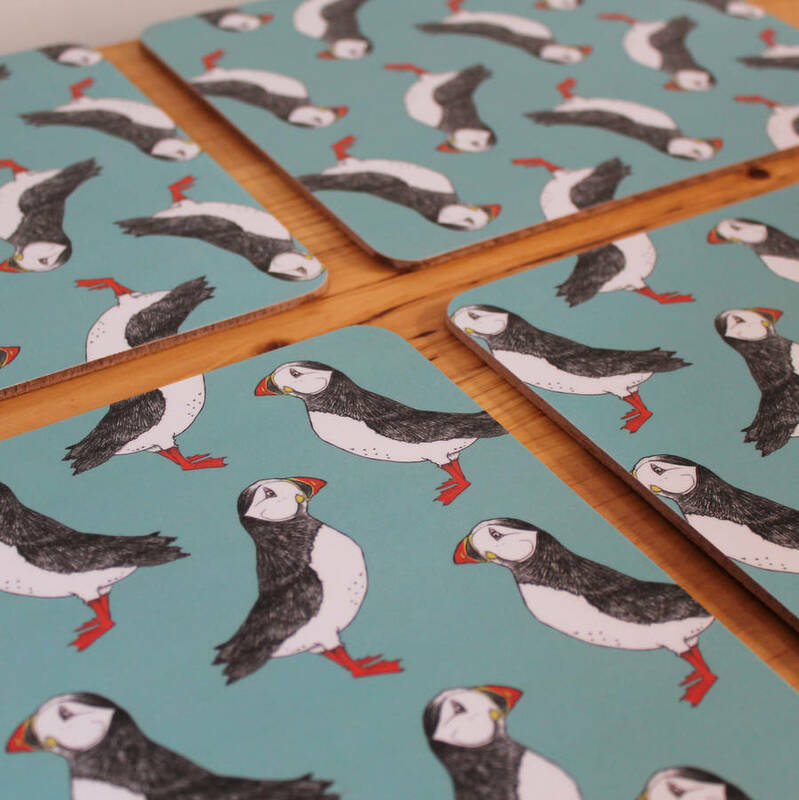 Green Puffin placemats brighten up a dining room table and make a great wedding gift. 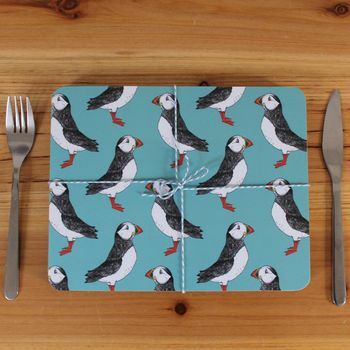 We love Puffins, (also known as 'clowns of the sea' ) with their bright beaks and cheeky cheeks and think this placemat set would make a lovely gift to any newly weds to furnish their home with. With a sea green background these Puffin placemats are designed to add a nautical twist to your dining table whilst protecting it from stray sauce spills! Our placemats are designed and made in the UK from a cork backed eucalyptus hardboard base with a laminated top surface and waxed edges. They are stain resistant and wipe clean but we do not recommend full water emersion or being placed in a dishwasher. 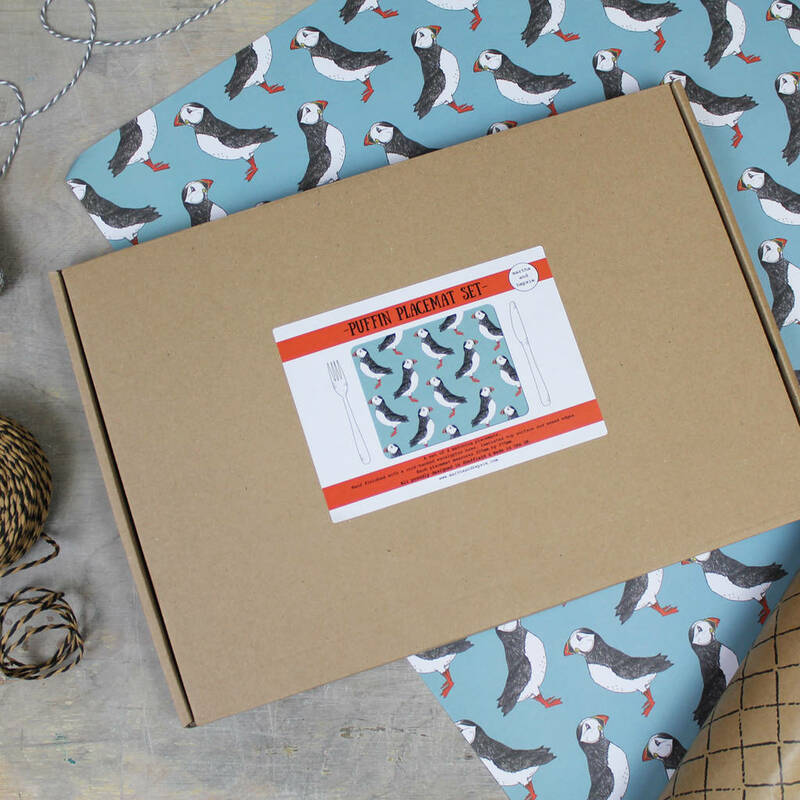 Each set contains 4 placemats, packaged in a martha and hepsie kraft gift box. 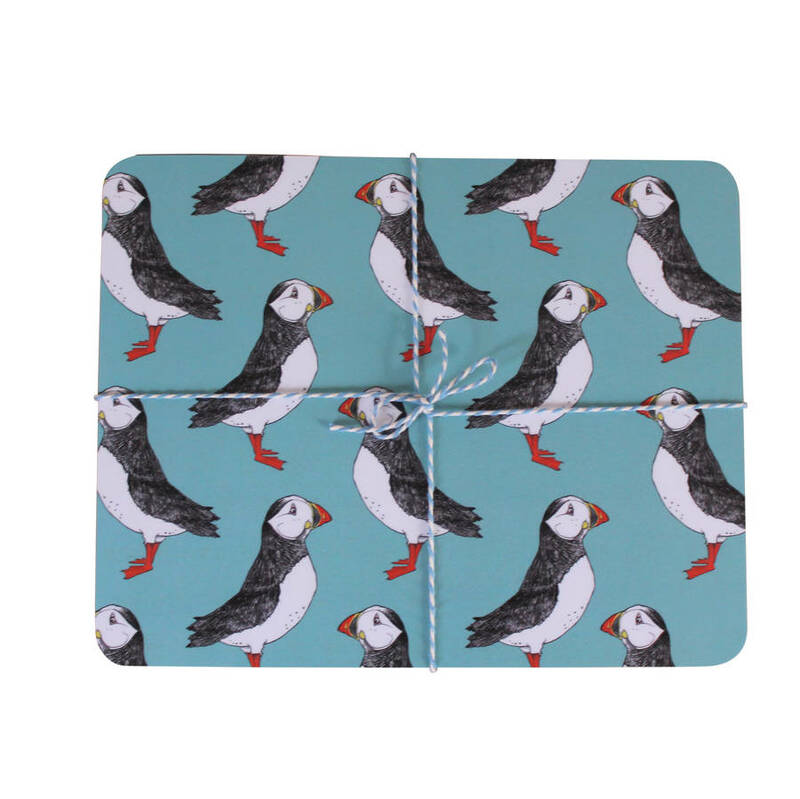 Coasters are also available in our Puffin Billy design, available to purchase from the drop down menu. 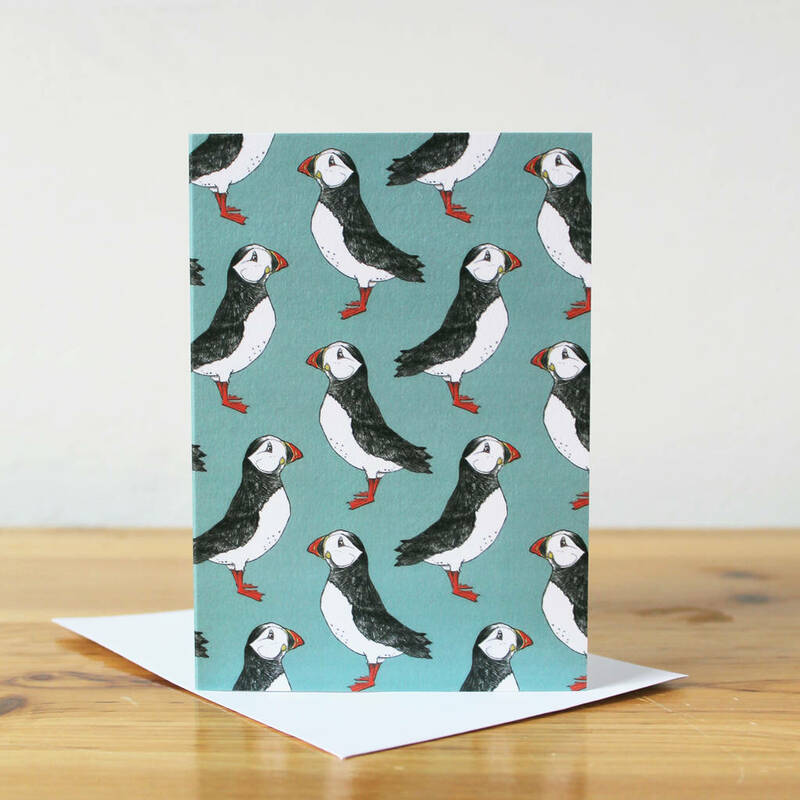 Love our Puffin Billy design? 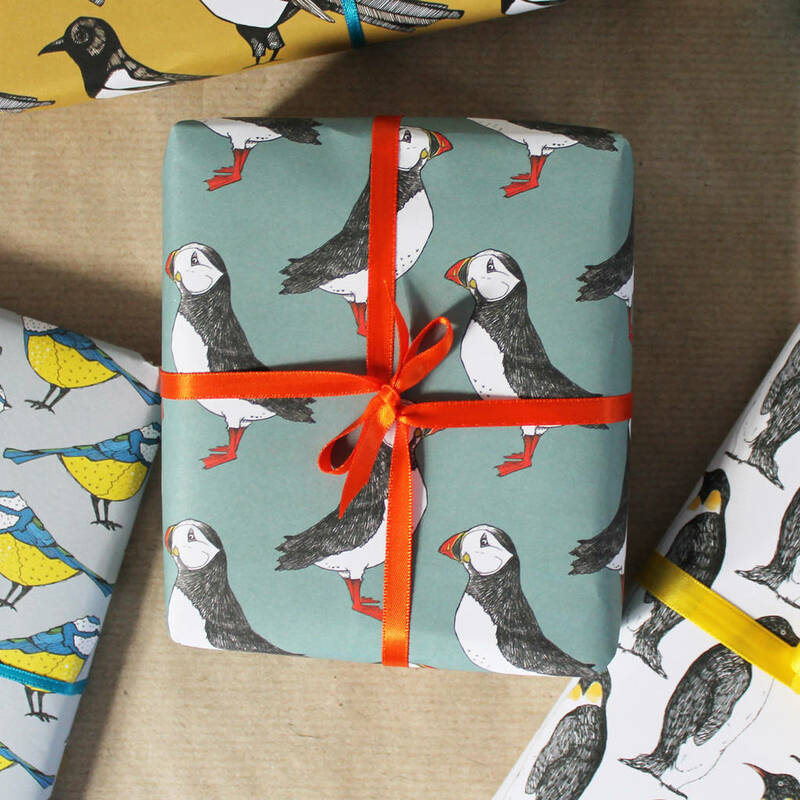 Find him on many other products all available from our NOTHS store.